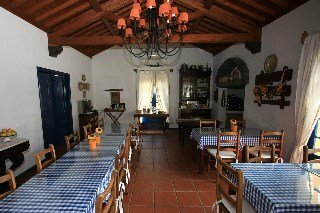 Renovated in 2009, This Apartment Hotel is Set On a Typical Azorean Farm and Features Rural Architecture. It Offers Guests Comfort, Tranquillity, Comfortable Rooms and Spacious Apartments Surrounded by Natural Gardens and Comprises a Total of 20 Accommodation Units. Facilities On Offer To Guests At This Air-Conditioned Establishment Include a Lobby, a Games Room, a Tv Lounge and a Small Restaurant (Meals On Request). Guests Can Also Take Advantage of the Internet Access.